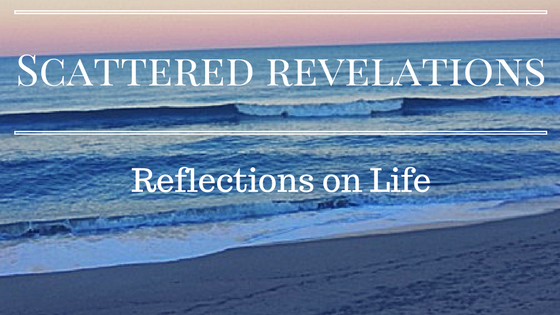 Scattered Revelations: Thinking About Original Sin...hint: It has Little to do with the Apple! Thinking About Original Sin...hint: It has Little to do with the Apple! So you might wonder why I am thinking about Original Sin - I have wondered the same thing. More precisely I have been thinking that most Christian theologians (and original sin is really a Christian concept not a Jewish one), say that the Original Sin is Adam and Eve disobeying God by eating the fruit of the Tree of Knowledge in the Garden of Eden. It is the disobedience to God that resulted in humanity being driven from the idyllic garden where everything was provided for them - now they were going to have to work and work hard. Not only that, they had to be banished from the Garden lest they discover the Tree of Life and gain immortal life as well. So all in all, one piece of fruit is said to have had detrimental consequences for all of humanity (which seems kind of unfair - I mean I didn't eat the fruit). For me, the Jewish scholars that I have heard talk about this text and its meaning present it very differently. Expulsion from the Garden was sad but necessary. It was necessary so that humanity could grow up, that we learned to exercise free will. If humanity had only stayed in the Garden perfectly obedient then humanity would have stayed in the state of a young child never growing up and becoming a person in their own right. This interpretation makes much more sense to me. For humanity to truly have free will then we have to truly exercise it and that means we are going to get it wrong. Being expelled from the Garden meant that humanity is called to co-create and be partners with the Holy in the healing of the world. Yet what I have been thinking about it is not whether or not this is true. Personally I am not a big believer in Original Sin. I think the story was a way for people to understand why bad things happen, why life is often hard and to make sense of life's questions. I don't think there was ever an actual garden - it is a metaphor for a deep human longing to be free from suffering. What I actually have been thinking about is that if we are going to talk about original sin - then if really look at the story as it is recorded then the actual original sin is blaming everyone else and failing to take responsibility. In the story after Adam and Eve eat the fruit, they hide from God. They know they were not supposed to eat the fruit and then God goes looking for them. When God asks them why they were hiding they talk about being naked. Once God learns that they ate the fruit, the blaming begins. Adam says she gave it to me, Eve says the serpent made me do it. No one says yes I know you said not to eat it, but it looked good, I was curious and I ate the fruit. Now I wonder would God have been half as upset if they had just said "yep I know you said not to you and I did it and I am sorry. How can I fix it?" Maybe I have just had a little too much lately of people around me not taking personal responsibility. I have been dealing with some maintenance issues around the home we rent and I am most frustrated not by the work I need done but by the utter failure to apologize or take any responsibility. Sometimes I just want to hear, "Yes, we messed up, we are sorry. Let's do this and this to fix it." It is really hard to take responsibility, to admit we were wrong, to admit we messed up even though we know better. Yet it can make such a difference when we do it. So often what people need is to hear is an apology and an acknowledgement that wrong has been done or a mistake made. This is true in our personal relationships and our social ones. The South African Truth and Reconciliation Commission in South Africa worked because it was grounded in people taking personal responsibility for the truly horrific things they had and doing what they could to make amends. Sometimes all they could was to tell a mother where her son's body was located. For some victims hearing what happened from those responsible meant they were believed, they were not alone, it was no longer their story to bear alone. Yet over and over we run from taking responsibility in big and small ways. Even though it is not just the victims who benefit. When we admit that we have done wrong, apologize, and begin to make amends, a burden is lifted. We can stop the process of beating ourselves up and begin forgiving ourselves as well. Most of the time we don't intentionally seek to harm another person and then we can feel terrible for the harm we have caused. Yet there is freedom that comes from saying "Yes I did this and I am sorry." So going back to the Adam and Eve story maybe we have missed something. Maybe the real "sin" was not eating the fruit but blaming everyone else for their behavior. Maybe it is not about blind obedience to authority or to the rules but understanding that we are responsible for our actions. Maybe the hard work of life outside the Garden is learning by making mistakes, taking responsibility, making amends and then moving on and hopefully doing better the next time. We are all going to make mistakes, we are going to hurt each other, we are going to get it really wrong. Every single one of us without exception will do this so maybe instead of teaching children to never make a mistake, we teach them what to do after it happens. Maybe we teach our children to be honest, to own when they make a mistake and then figure out what comes next. How different would our world be that instead of being terrified of being punished for doing wrong, we lived with an ethos of responsibility that expected mistakes and also expected us to live with the consequences, learn to say we are sorry and to make amends? What is it like for you when you make a mistake? Have you had an experience of stepping up and taking responsibility? What happened? How did it feel? Have you had someone take responsibility when they have harmed you? What was that like?